The Olympic team under the stewardship if Ayman Sandouqa will jet off to Algeria this weekend to conduct a 10-day preparatory camp. Palestine are due to host Group E of AFC U23 Championship qualifying and have been drawn alongside Tajikistan, Jordan, and Bangladesh. The ten group winners alongside the five best runners up will qualify for the final tournament in 2018. 2018 will mark the third edition of the tournament that also doubled as Olympic qualifying in 2016. With the frequency of the tournament changing to the biennial format, the 2018 edition will not serve that purpose. Palestine's record in the tournament is decent but they have yet to appear at the finals. In 2013, the team stumbled out of the gate- drawing their opening match against Sri Lanka and then throwing away a 1-0 lead in their first match to lose 2-1 to Syria. That as followed that up with a 4-0 loss to Saudi Arabia, A 0-0 draw vs. Kyrgyzstan, and a 1-0 win vs. Pakistan in what was a disappointing showing. Palestine landed in the group of death two years ago- after comfortably dispatching on Afghanistan in their first game, Al-Fida'i were cruelly undone by a phantom penalty awarded to Saudi Arabia in their opening match- a 1-0 loss. A valiant showing against Iran in the first half proved to only be a stay of execution; rendering their 4-0 win vs. Nepal meaningless. Rami Hamadi, Ghanem Mahajna, Sameh Maraaba, Oday Kharoub, Mus'ab Battat, Tamer Seyam, Mohammed Yamin, Abdallah Jaber, and Islam Batran. Rivals Jordan represent the most serious threat to qualification. Al-Nashama are the only side in the group to have participated in the finals of the tournament, having finished third at the 2013 edition. More daunting is the fact that they have never lost a game in the qualifying phase (7W-1D-0L) but Palestine can draw on recent success at Olympic level against their neighbors to the east. Islam Batran's fantastic goal handed the Olympic team victory two years ago at the U23 WAFF Championship. 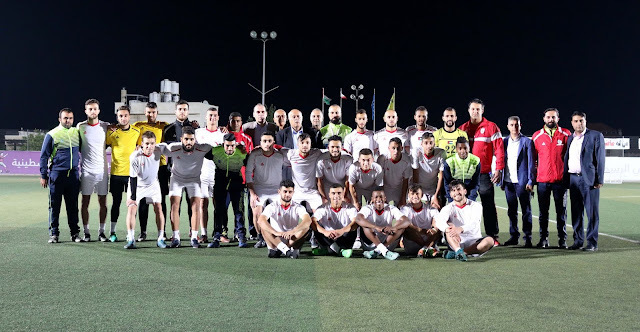 In 2014, Palestine notched a pair of 1-0 win in the now the defunct Nakba Cup over the Jordanians. The hope here is that Palestine would be able to draw on this previous success and isolate memories of the 5-1 loss at the 2015 AFC Asian Cup. Palestine will also face Tajikistan- another familiar face for the previous iteration of the Olympic team. Tajikistan were dispatched 2-1 at the Asian Games by a fine Hilal Musa winner. That said, Tajikistan is a team on the up- the country qualified and advanced out of its group at the 2016 U19 championship. Their record in two attempts to qualify for the U23 Championship stands at 3W 0D 5L. Bangladesh are expected to prop up the group. They have yet to win a game while U23 Championship (0W-1D-6L) and that streak doesn't look like ending. Crucially, Palestine play Bangladesh last and will have an opportunity to chase goals should they be jockeying for one of the best runner's up spots. Age restrictions are big sticking point of the qualification phase. The ongoing U21 European Championships feature players who were 21 or younger when qualifying started over two years ago. The AFC however has mandated that all participants be born on or after January 1, 1995. 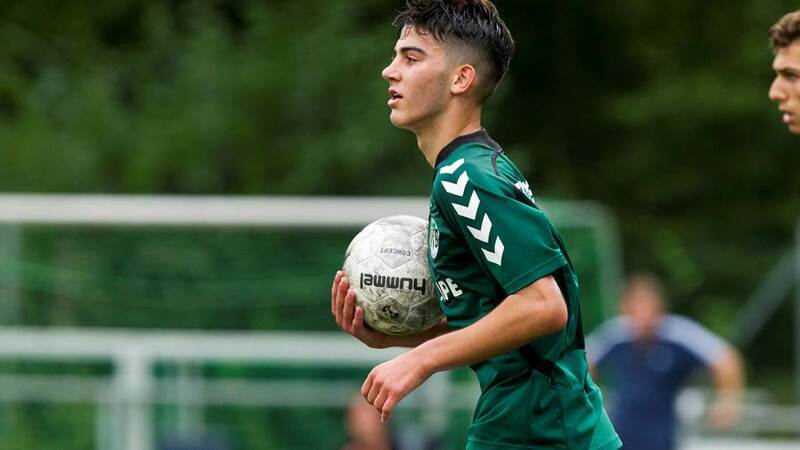 For Palestine, a number of promising players born in 1994 won't be able to take part- including the likes of Hamada Maraaba and Mohammed Yameen. Palestine's squad will be headlined by 18 year old wunderkind Oday Dabagh but the roster (still kept under wraps by the PFA) will be bolstered by several players from Gaza and a handful of Palestinians plying their trade abroad- including 19 year old midfielder Abduallah Abou Rashed who plays for Lübeck in Germany's 4th tier. Qualify. Palestine have never qualified for a single youth or women's tournament on the Asian level. If Palestine want to take the next step, that has to change. Jordan is strong but beatable, Tajikistan is competent but by no means intimidating, and Bangladesh is one of many Asian nations just making up the numbers. If Palestine are serious about qualifying for the 2022 World Cup they will need to blood in new players and this tournament provides the perfect platform for that.